Marketing becomes tricky for products that are no longer popular among their traditional target audience. We all feel for the stressed-out marketers behind gas-guzzling cars, traditional CDs, plastic straws, or bubblegum cigarettes. If you are worried this could be you someday soon, all of your people and resources are probably focused on staying relevant and avoiding the catastrophe of becoming obsolete. One way to get at your problem is to generate some good PR buzz with philanthropic efforts or educational endeavors. You can alter your traditional packaging to better attract a newer consumer base or to reconnect to the old one. You can even do what what Nike did, and tap into the right side of a controversy to generate buzz in the news cycle. When all this fails, your alternative option is to diversify your brand and create a new product that will weather the modern market with more success. No matter what you decide to do to stay relevant, your brand needs a strong advertising campaign that holds your stake in the market securely with nuance and rhythm. When you roll that out, it is essential that you target the right consumers. There are people out there who need your products! Your team has long since identified this group. You’ve likely thought “if only we could resonate with (insert niche of people here)” at one point or another, or stared longingly at a competitor’s brilliant campaign as they attract your desired demographic. Clickagy technology is the solution to this problem. With our unique data platform, we consider the ins and outs of the audience you hope to reach, Clickagy will generate the kind of game-changing data your brand needs to add to it’s campaign in order to reach your strongest consumer base. What if you haven’t identified all the consumers who are the future of your brand? Clickagy’s insights are the backbone of everything we do. Let us analyze the market to find those pockets of consumers you are missing. We have the technology and the scale to generate the insight you are looking for. 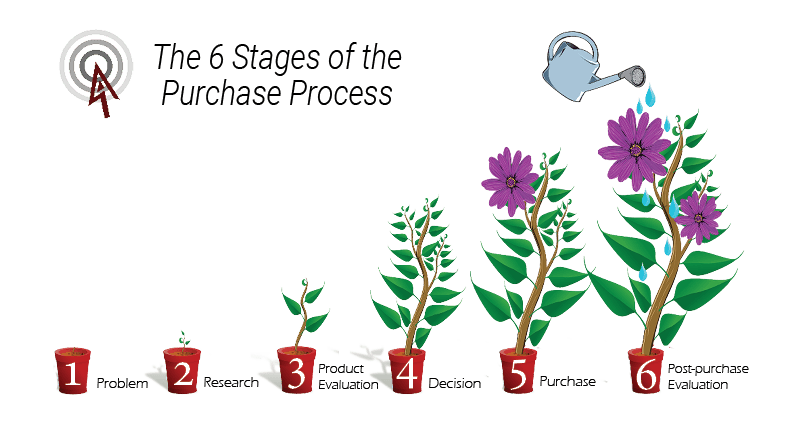 Once we have identified a scalable segment of consumers interested in your product, we will package them into an audience, ready for your revitalizing campaign. Clickagy has the scale and accuracy to reach any audience you need. With a powerful set of Clickagy data mobilizing your programmatic campaign like wind in a sail, your brand will be rejuvenated whether you walk with tradition or chart new waters. Call us today, and we will make sure your message reaches the right audience. Right now, the majority of American adults still prefer to get their news on TV. However, this is changing rapidly, as technology dominates more and more of every market. As recently as 2013, only 54% of adults used their phones to read the news, while today that number has grown to a substantial 74%. This may be due in part to the fact that younger generations take up a larger portion of the news market every year, while older generations grow more comfortable with online resources as a whole. As this market shifts, Clickagy has stepped up to accommodate it. Clickagy draws data from the online news world, and uses those news sources to inform its audiences. So, when your target consumers show a specific interest in a news story that is relevant to your targeting goal, Clickagy collects that data and is ready to leverage this audience of news readers at a mere nod from you. This strategy could launch your next great success story. If you are a B2B brand, your focused B2B buyers will want to be aware of what is going on in their industry. When a reader is shown viewing an article specific to their industry, this is a pretty important indication that they have a particular stake or interest in it. Even if the reader does not have a seat in the company as a buyer in any official capacity, they have daily contact with those who do. Do not overestimate the value of name recognition in the purchasing process, especially among those surrounding the decision makers on a daily basis. If your brand is making waves in the news, the consumers most interested in your brand will be paying attention. Even if your brand has made the news for a bad reason, this audience will be a crucial target for your next campaign. If your brand faces this sort of media attention, Clickagy will build an audience of consumers that are paying attention to these events so your next campaign can focus on consumers already proven to care. On the other hand, if it is your competition that has just made a splash in the news, work that situation in your favor as well. 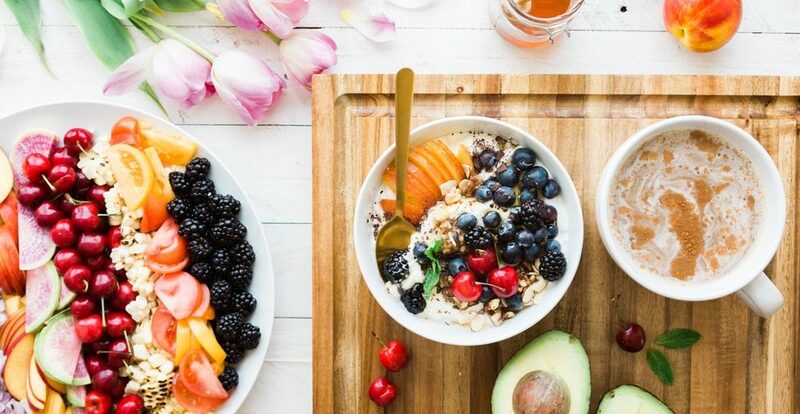 Whether their media attention is for something positive or negative for their brand, consumers are going to be interested in the articles that surface. We’ll build an audience of these consumers interested in your competition so you can target consumers when your competition is in the spotlight, and offer them another option. If your marketing efforts benefit a political candidate or a promotional effort for a new bill, targeting voters according to the news they read is going to be a critical tool in your belt. Certain voters are more likely to be interested in a story or news source than others and your campaign is in the perfect place to take advantage of that. We’ll grab an audience of voters based on who is paying attention to issues swing voters are most interested in, while you plan a convincing campaign to target to them. It is no secret that some products sell really well when they are endorsed by popular celebrities. If you are a major B2C brand that relies heavily on celebrity endorsements, a Clickagy audience of news readers is a perfect fit. Reach consumers fixated on one of your celebrity ambassadors by targeting consumers who read news about them. The addition of this strategy to your cross-channel marketing plan will boost your product’s success even more. Avoid falling into all the same weary patterns all your competitors do! Try targeting news readers and benefit from the gold mine of a largely untouched world of online data. Clickagy gathers data from billions of devices every day, and we are ready to power your next record-breaking campaign. Contact us today! Consciously or not, millennials digest a considerable amount of content each day, crafting a symbiotic relationship with data. They are the first generation to grow up with unlimited access to relevant information, leading them to be the most talked about generation in today’s marketing atmosphere. A generation isn’t a label, a category or a simple demographic. It’s more like a type of behavioral targeting and the better you understand generational behaviors, the better your ROI. Are you effectively reaching, attracting, and retaining millennials? If they are your target market and your data isn’t accurately finding them, then your cost of marketing to the wrong consumers is huge! The ever-changing consumer landscape is largely made up of Generation Y who are demanding more personalized experiences. As a marketer, you need to speak your audience’s language of using organic keywords that resonate with them rather than a younger generation. Most people assume that millennials are all 25-year-olds, un- or under- employed, living back home in mom and dad’s basement. Millennials are going through a variety of life stages and lifestyles within the age group of 19-36. Millennials are no longer the college students with participation trophies in their overly decorated dorm rooms. Millennials are the ones purchasing diapers for their first or second child, immediately after searching for their favorite high school hits from Hinder and Nelly Furtado that they used to download from LimeWire. They’re the families with subscriptions to a meal delivery service because their careers are so demanding that they don’t have time to make grocery runs, clean the house, and cook. They utilize tech to make their lives a little bit easier. Today’s negative perception of millennials varies greatly from who they are. Millennial’s transition between young and middle-aged adults makes them harder to pin down, but we’ve got the solution for you! Gain a deeper understanding of the evolving behavior of millennials with Clickagy as we uncover common patterns to create more accurate segments by observing online behavior as it occurs. Clickagy’s innovative way of using psychographic powered demographics helps you reach those you didn’t know were even part of the segment. By using psychographics to identify the millennial generation, Clickagy is able to place users into a more accurate demographic than other data providers. With Clickagy’s data, you are able to reach your best fit. Contact our team members today, and we promise you won’t have to smash that mute button because there’s no static here! Just pure Farm-to-Table data. B2B brands tend to stick by traditional means of marketing, and only dip their toes into programmatic advertising if they can do it cautiously. The problem with this strategy is that traditional means of advertising are falling by the wayside, while programmatic, especially for mobile, is taking over. eMarketer reports that the average mobile ad spend alone is expected to increase from 33.9% in 2018 to 47.9% in 2022. While the majority of mobile programmatic spend comes from enterprise B2C brands, this is bound to change. Research shows that 86% of millennial B2B buyers believe their phones are essential for business success. Each year the number of millennials in the workforce grows, and by association, so does phone usage for business purposes. Consider the many opportunities for B2B buyers to encounter ads, and how that would affect their purchase decision process. For buyers making the commute on public transportation, mobile interaction will have a powerful impact on the way that they begin each business day. Many buyers use a separate computer at work than they do at home, so desktop ad targeting can only happen during the business day. Mobile is different because your ability to target goes home with them. 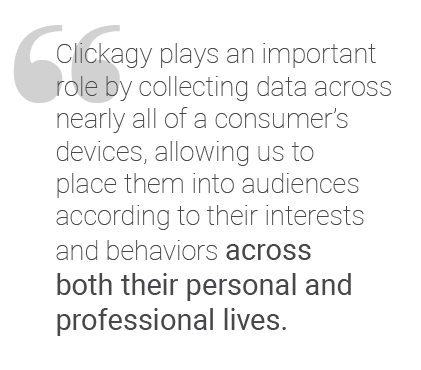 Clickagy plays an important role in this process by collecting data across nearly all of a consumer’s devices, allowing us to place them into audiences according to their interests and behaviors across both their personal and professional lives. So, whether those B2B buyers are surfing the web during their subway commute, reading industry news at home after dinner, or scrolling through products while taking their habitual fifteen-minute bathroom break at the office, we see their clicks. In a B2B market that hasn’t fully accepted the massive potential of mobile ad targeting, Clickagy stands out as a powerful solution. We are a B2B company ourselves. We understand most of the marketing problems businesses face on a personal level, so we developed technology to solve them. We have the scale and the accuracy to reach any niche B2B market that a brand needs to contact in order to run a successful and affordable programmatic ad campaign. Here is an example of just how granular we can get. Recently, Clickagy pulled together audiences of B2B buyers in the automotive industry for an auto aftermarket marketing firm. Imagine that kind of granularity in your industry! Mobile ad targeting, and the data that powers it, is an important tool for everyone to use. Clickagy data can power your B2B campaign, no matter what your marketing goals are. Privacy has been a major concern lately as tech continues to grow and stretch beyond imagined boundaries. Clickagy understands this concern, even from the consumer standpoint because after work we all exist as internet consumers as well. Most people don’t like the feeling of being watched. It is unsettling, just like any invasion of privacy or sense that someone knows too much about you. Clickagy is not here to exploit your privacy. In fact, we are doing what we can to use our data in a way that is both ethical and effective. Here are four reasons you should feel comfortable participating in the Clickagy ecosystem. Participation in our data is voluntary. I start here because I want to emphasize that Clickagy prides itself on transparency and trust. Beyond this, we understand that Clickagy benefits most from a society that is comfortable with programmatic marketing, and to do that we believe in the importance of willing participation. If you are uncomfortable with our use of your data, and would like an easy exit, click here to opt out. All the data we collect is anonymous. This is the most important way we demonstrate our respect for privacy. Absolutely nowhere in our system do we keep your name, phone number, address or any other sort of delicate information bundled up into a neat little package for shipping off to the highest bidder. Not only do we personally get queasy at the thought of exploiting the internet in that way, this practice is decidedly illegal and strictly enforced. To collect data, we match the cookies found on that device to a unique identifier stored within our database. When we see a known device hit a particular page, we file that device identifier into audiences based on page content and user interest. The power of our data comes from an ability to analyze web pages and what they mean to a consumer, not from analyzing the consumers themselves. All of the data we collect is relevant to your observed interests. This comes down to what marketing is: an orchestra of creators working together to connect the right products with interested consumers. So you are in market for wireless headphones that drop a clean beat? What is wrong with being served an ad for a bluetooth speaker as well? Ultimately, this process benefits you by notifying you about products you may actually be interested in. This programmatic world makes advertising far more user-focused than superbowl ads or roadside billboards ever could be. The system is mutually beneficial, and more efficient for both sellers and buyers than any other capitalist system on earth. You are just a number. One of over 1.5 billion, in fact. This seems like a cop out, but it is important. Built into the structure of Clickagy is a promise never to build and send an audience of less than 1,000 devices. The data trail you leave behind as you journey from page to page is shuffled into vast audiences and sold exclusively in that context. If all four of these reasons do not persuade you to trust Clickagy or the programmatic ecosystem as a whole, please feel free to opt out. Here is the link again. There are few subjects that generate more fervent debate than gun control and gun rights. In the United States, mass shootings are all too common. From the Santa Fe High School tragedy to Virginia Tech and Sandy Hook, these horrific tragedies plague our news. The trouble is it’s not possible to accurately determine what people think about guns in the US from questionnaires, surveys, and interviews. Sampling bias is huge, and the more controversial the subject, the pollsters skew toward the loud minority, rather than the vocal majority. You can read the findings of surveys over and over again, but often, it’s the unspoken opinions that count. So, how do you find out what’s really going on in people’s minds and determine the difference between public opinion and private reflection? Clickagy’s substantial tracking of internet behaviors is a unique solution to paint an unbiased and pure picture of consumer opinions. Instead of relying on hand-raisers to declare their controversial opinions publicly, Clickagy can observe the content they are actually reading online and actively researching. Clickagy is then able to measure this deterministic data across over 91% of the Internet-connected devices in the US, eliminating inaccuracies from extrapolation. Clickagy taps into the unspoken voices of America, providing an unprecedented clarity to public opinion. Information obtained from surveys suggest is that the majority of people who participate in polls hold certain beliefs, but there’s always a risk that public opinion is actually different to private opinion. What one says may actually be completely different to what he or she thinks, and ultimately, what one does. If you’re trying to navigate your way around gray areas, evaluating concrete data is likely to get you further than reading responses to loaded questions. Clickagy tracks devices, including phones and tablets, showing the level of interest in subjects like gun control and gun rights among audiences that are engaged in this issue. There’s no room for subjective interpretation or poetic license with numbers and the Clickagy strategy points to the fact that there isn’t always a correlation between thoughts and actions. Collected in real time, this data shows just how many people are visiting pages related to gun control and gun rights. Polls may suggest that there has been a jump in support for tighter gun controls, but it’s also useful to analyze data related to gun rights. The differences in numbers collected by Clickagy provide an insight into what people think that may not be reflected in poll findings or watered down results quoted in news bulletins or press articles. Tracking data obtained directly by Clickagy demonstrates around 30.4% more people observed researching gun control and gun rights. This represents a 23.1% jump in consumers who care about restricting the rights of gun owners than last year, likely due to recent school shootings. Advocates for gun rights and freedoms are down by 12.7%, of which, in the previous three month period an incredible 5.6% have shifted positions from historically advocating for gun rights into actively researching some form of gun control. America was founded on the right to bear arms, however, recent trends in the popular opinion clearly show an increasing number of citizens opting to restrict that freedom, even to a small degree. The behavioral tracking techniques used by Clickagy show what specific audiences are interested in and what content they’re consuming online; primarily used for programmatic advertising, analytics, and attribution. However, the scale and purity of data also make it ideal for measuring unspoken public opinion. At the time of writing, within the past 30 days, more than 3.75 million devices (including mobile phones, tablets, and computers) have been observed researching issues related to gun control. That’s almost 1.5 devices per second! The numbers are much lower for those researching gun rights (only 2.9 million in the past 30 days). 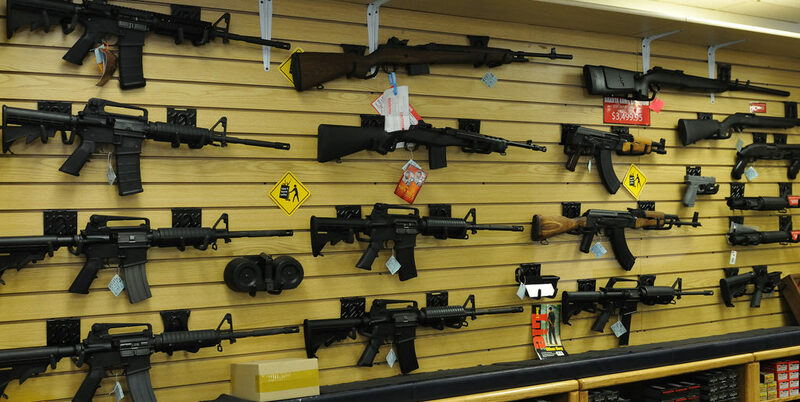 These devices belong to people who have a genuine interest in how the government is going to adapt or modify gun control, specifically siding with protecting the rights of gun owners. These users may have a connection to activist groups or associations like the NRA or Everytown for Gun Safety. Those researching gun rights are likely to have an interest in public safety, self-defense, and the Second Amendment. After every mass shooting in the US, you can be sure that there will be a raft of polls published in the mainstream media. 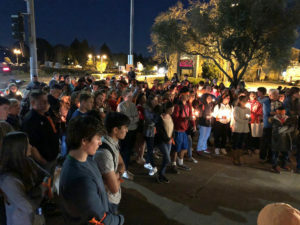 The latest school shooting in Santa Fe seems to have hit people particularly hard, and there has been an outpouring of public support for tougher gun controls. In the aftermath of the Texas shooting, the Quinnipiac University National Poll revealed that 66% of people supported more stringent, rigorous laws. This represents the highest figure on record and a major leap from 47% in 2015. Sixty-seven percent of people agreed that it is too easy to buy a gun in America, but only 40% suggested that stricter gun control measures would be the most effective means of reducing the risk of mass shootings in the future. Of those who oppose tougher measures, the majority believe that more robust controls would impinge on their basic right to own a gun. If you read the results of public surveys published in newspapers and other outlets, you are only seeing part of the picture, however, until recently that was the best option for reporting on public opinion. When you’re filling in a survey, you have a choice about which answer you give or box you tick. You can be completely honest, or you can go with the option that you think you should select. This pressure was the root problem of the wildly inaccurate polls before the Trump presidential election. Often there’s a difference between the opinions and ideas that hand-raisers share in a public arena, or even when surrounded by a group of friends or family and the thoughts that are going through your mind behind closed doors. For one reason or another, this disconnect can force you not to disclose the whole truth when you’re ticking those boxes. Clickagy analysis focuses on unfiltered data points which offer an empirical insight into actual behavior, rather than predicted trends or actions. As well as there being a risk of misrepresenting public opinion by using polls, there’s also a chance that the findings of surveys can be presented in a way that increases the risks of inaccuracies or contributes to bias. Clickagy tracking data provides an insight into trends that aren’t always presented in the media, for example, the shifting tide between the number of raw devices observed researching gun control vs gun rights. As we’ve already deduced, public opinion polls can provide an insight, but they are dependent on honesty, and they represent a small segment of society. A more effective means of gathering and analyzing data may lie in using Clickagy to track data related to raw browsing patterns. Analyzing raw browsing patterns offers an insight into what people are actually looking at and the subject areas that genuinely matter to them. The figures may support the fact that there has been an increase in interest in the use of guns and gun ownership in the US, but it could also challenge the findings of public opinion polls. Take the election as an example. Very few pollsters had Donald Trump down to be the victor. The TV personality turned politician may not have been the popular option on paper, but if you tracked browsing and took actual behaviors into account, you might have been surprised to see how voraciously many people were researching the guy who was previously most famous for saying ‘you’re fired’ on a reality show. Gun control and gun rights will continue to dominate media discussions until there’s a dramatic shift in policy or an end to mass shootings. What is up for debate is how people actually feel versus how they say they feel. For this reason, the behavioral analysis provided by Clickagy provides a refreshingly pure and accurate insight into the difference between public opinion and unspoken personal stance.